Framestore has sought help from the field of neuroscience to better understand how consumers process advertising and the way visual effects can contribute to the success of a campaign. Jon Collins shares the production house's findings. In the early 50s, scientists inadvertently discovered an area of the rodent brain dubbed "the pleasure centre", found deep in the mysterious-sounding nucleus accumbens. When a group of lab rats had the opportunity to stimulate their own pleasure centres using a lever-activated electrical current, they pressed the lever again and again. They chose to do this hundreds of times per hour, ignoring food, drink or sleep, until many of them dropped dead from exhaustion. Research found pleasure centres exist in human brains too. Most humans are a little more complicated than rats, of course. But we are largely motivated by what makes us feel good, especially when it comes to our buying decisions. For everyone in marketing communications, such neuroscientific and cognitive psychology research projects have huge implications. They are increasingly embraced by many disciplines, and by many brands, but strangely under-recognised in the area of visual effects. Earlier this year, Framestore began to take a special interest in how understanding the human brain can help us better understand consumers. Our thesis has always been that the better quality an image, the more people engage with the commercial, watch it rather than fast-forward it, talk about it, visit a website as a result of seeing it, and so on. It is, of course, impossible to separate great visual effects techniques from great advertising ideas, and we have always tried to have conversations with directors, advertisers and creatives that are more than "just" craftand technique-based. Ideas feed into technique, and the back and forth between the two elements is what creates commercial magic. As the company behind "surfer" and "noitulove" for Guinness, both very much products of post-production, we are used to being challenged in this way. Could neuroscience help us turn all our hunches into a better understanding of those hidden elements of the decision process that happens when real people watch commercials? To add weight to our thesis, we worked with Justin Gibbons, the creative director at Arena Media and the man behind PHD's "neuroplanning" research (see box). We knew that he had worked extensively with media owners to bring new academic thinking to help address their research challenges. In what would be a first for our sector, could Justin and his team of PhD psychologists provide academically grounded perspectives on the business value of visual effects? To test our ideas, we first looked at various academic studies and found quite a bit around how people process advertising. A combination of what's called "top-down" and "bottom-up" processing is involved. Top-down thinking is influenced heavily by hypotheses and attitudes that we already have about content. Car companies love this features-heavy approach, with its emphasis on engineering, manufacturing detail and advanced technology. Some phone companies, though notably not Apple, use it to cover details of the amazing tools and deals on offer. A 30-second pan-European BBC World spot for ExxonMobil, for example, has an intensely functionand fact-driven approach that relies heavily on top-down processing. Snappily entitled "Pat Brant - lithium battery separator film", the commercial features the chief polymer scientist at ExxonMobil enthusing about the company's product. Apparently, it will enable the development of more hybrid vehicles in faster time, which, in turn, will lead to a huge reduction in greenhouse gases. Facts, facts and more facts. Bottom-up processing, in marked contrast, relies entirely on sensory information. It is a fast, primitive form of processing based on the human instinct to search our environment for novelty and threat. When Framestore helped a purple army of "Joyville workers" take to the skies for Fallon's Cadbury showstopper, we were creating an ad that relies more on bottom-up processing. Directed by Tom Kuntz, the ad is a charm-fest of bygone-era fun, created to celebrate the launch of Cadbury's new Bubbly bar. Somewhere in the middle are commercials that take you from top down to bottom up in 30 seconds. Just as wealthy celebrities can't help making themselves a bit richer by doing commercials, these ads can't help themselves. They start from bottom-up thinking and veer into top down, jolting the viewer back to reality - and rarely seamlessly. Can you think of one ad that, more than any other, meets the top-down/bottom-up hybrid? Of course you can, it's Jennifer Aniston for L'Oreal's Elvive shampoo. At the start, Aniston reveals that she has "just fallen in love with a shampoo". She's dreamy and lost in this emotion. She then signals a jolting change of pace - quite literally, we get "the science bit" that leads to the endline exhortation to "wash the strength back in". Taken together, these two parts work, but they are using very different types of processing - one less conscious, one designed to be noted and remembered. So much for the theory. To better understand the forms of processing that make up a successful commercial, Framestore invited a group of consumers to test our thesis in terms of visual imagery. Recruited to represent a cross section of the population, the group knew they were participating in an advertising test, but not what we were looking for. We showed them examples of advertising that fitted broadly into the three types of processing and asked them to talk about how the visual imagery aided or hampered their impression of the commercial. Their comments were revealing about the types of processing involved in visual imagery. More versus less bottom-up processing was taken as proof of a brand's smartness and confidence. Creativity and high-end, believable visual effects could, we reasoned, be a means to produce greater results per advertising pound spent. Our conclusions from Framestore's first foray into how the brain interprets visual imagery? That great visual imagery, almost certainly underrated as a contributor to a commercial's effectiveness, does contribute to an ad's success because it renders the consumer journey seamless and more believable. If the success of your commercial is measured to a large degree by the duration and depth of emotional engagement and the lasting memory of the viewer, then the time and money spent in crafting the visual image is surely a small investment for the potential returns. - We know that emotional and sensory information is processed by the amygdala and occipital lobe, and that the cingulate cortex processes rational, logical information. - Neuroscience also informs how memory is created, and we know that arousal leads to more vivid memories. For production houses working with advertisements, there is an objective to heighten the emotional arousal, again through seamlessly experienced effects. - In the case of post-production, we are beginning to understand the emotional journey that audiences are on with a piece of film, and that the job of quality production is to create a seamless experience that doesn't jolt viewers out of that experience. - When effects don't capture the desired suspension of disbelief, "when something isn't quite right", the rational, logical part of the brain kicks in and disrupts the emotional experience - this lessens the arousal and the memory creation. 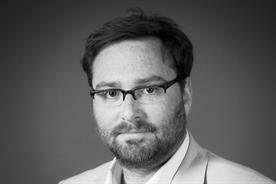 - The findings from the world of neuroscience marry closely with the recent analysis by the IPA into effective advertising campaigns, which found that ads with an emotional message were twice as profitable as those with a rational message. A PC World salesman gives the technical specification of a Toshiba laptop that is available at a discounted price. Men stand on beach. Men wait for waves. Men go in and fight waves. Horses added later by Framestore. So apparently simple. 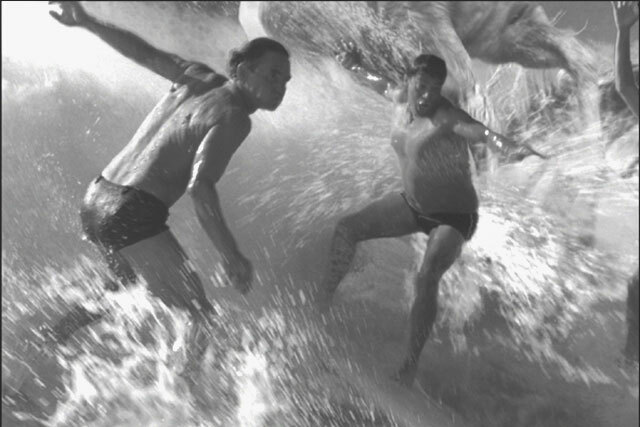 Yet Jonathan Glazer's legendary "surfer" for Abbott Mead Vickers BBDO had extra production time added to make a difference. At the start, a dreamy Jennifer Aniston reveals that she has "just fallen in love with a shampoo". Then we get "the science bit" that leads to a call to "wash the strength back in".